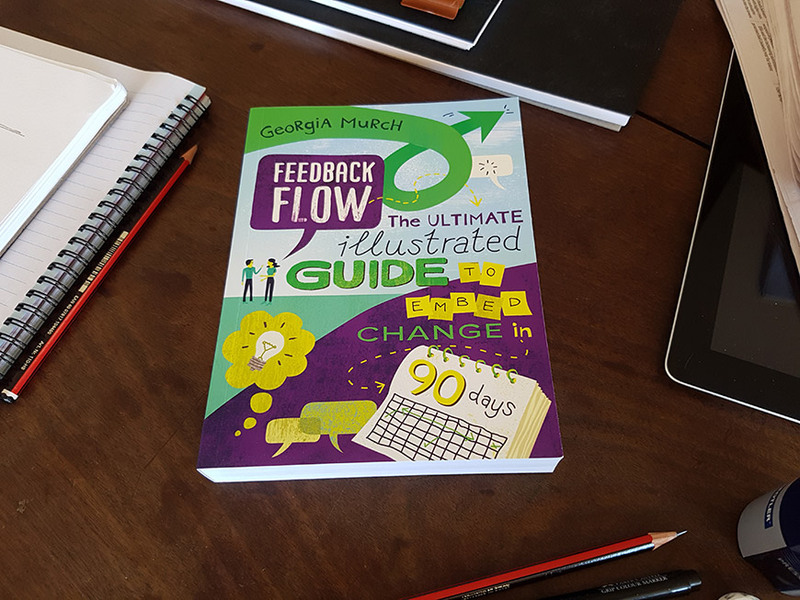 Guy's Visualisation work helps organisations Simplify, Sharpen and Share vital information. University Open Days are a great way for future students to learn more about potential courses and get a good feel for a university. 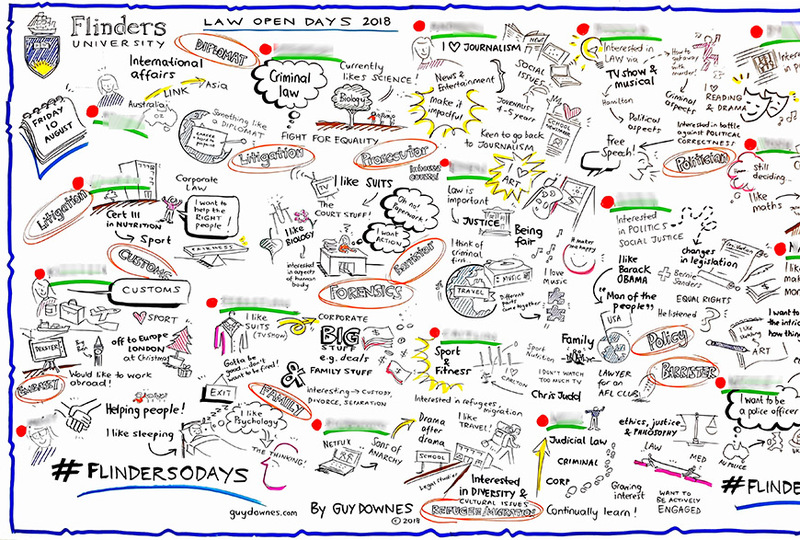 I recently graphic recorded the insights and ideas of future students at a Flinders University Law Open Day. Based at the Law Faculty stand, my role was to work with a facilitator and capture what was going through the student minds in relation to studying Law as they circled past. Lots of students came up to proactively share their story and many more were curious about what I was doing which helped drive traffic to the stand. It was fast, furious and enjoyable work to draw out the many and varied conversations and reasons why students were interested in law. 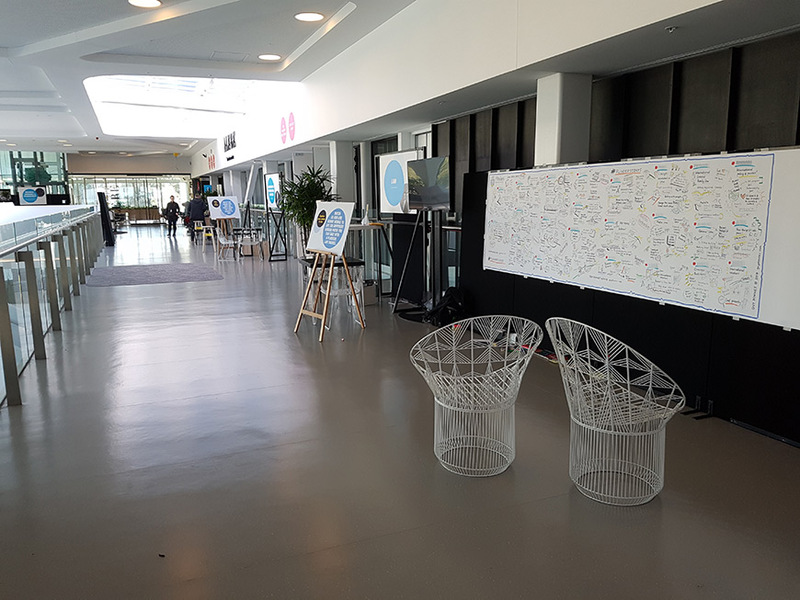 Over two super days, I created two large graphic recorded posters (each 5-6 m in length!) that will be used by the Law Faculty in future as engaging communication tools. The final 5-6 metre poster full of student stories and ideas. Detail of one section of my poster shows the student micro-stories, ideas and insights. It’s quiet now… the view at the end of the day. 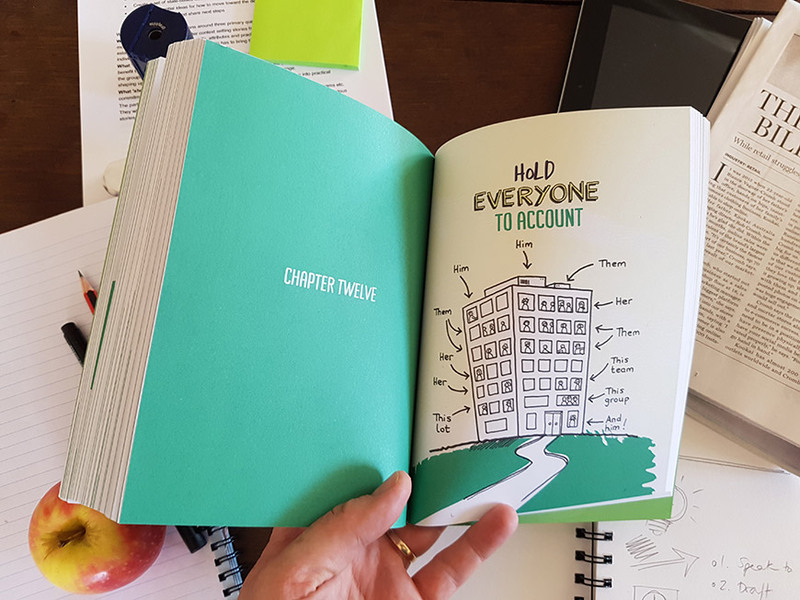 One of my latest video scribe animations is a premium product developed for a team from the Synergy Nursing and Midwifery Research Centre and Health Research Institute at the University of Canberra (ACT, Australia). Titled “The importance of the capturing the nursing process in the digital environment”, we worked closely with Dr. Kasia Bail, Associate Professor in Nursing, to create an engaging, fast paced premium style animation that involved significant planning and extensive filming and post production work to add relevant and compelling effects. Launched at a recent Australian Association of Gerontology conference, this premium video scribe animation was designed as an educational tool to help nurses explain their practice and decision making in team discussions with project managers and IT teams designing health information systems. The video scribe animation might also be informative for nursing students, consumers, or anyone else interested in how to make health systems work more effectively for the needs of people who happen to be patients. This was an extremely rewarding project to work on and many thanks to Dr. Kasia Bail for picking up the phone and getting us involved. 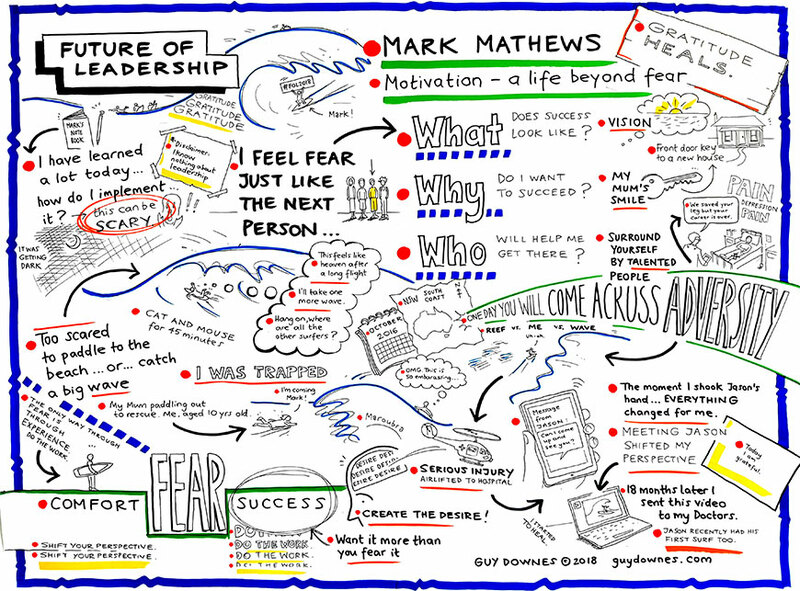 This year I was invited to support Australia’s premier leadership conference, the Future of Leadership series, as the event’s official graphic recorder at Sydney’s International Convention Centre. 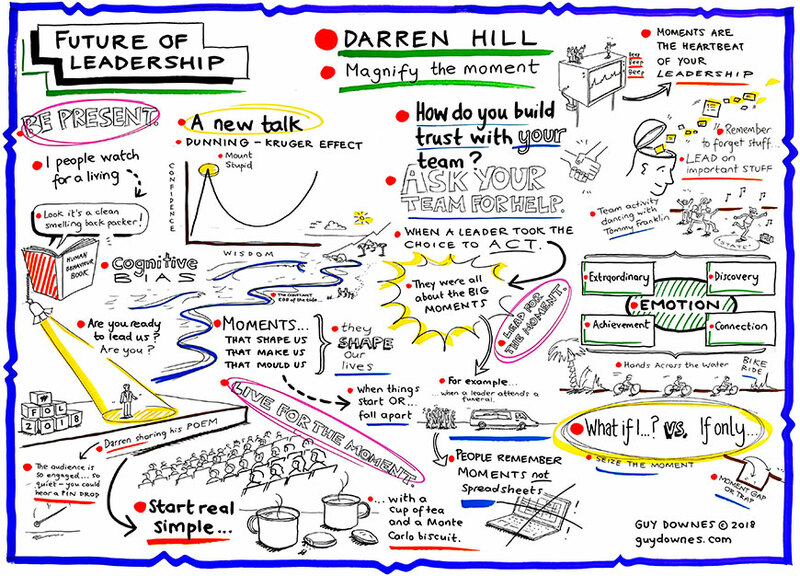 This was a super event to graphic record at as the conference series attracts top speakers and more than 2000 delegates annually, bringing together members of corporate, education, government, NFP and small business sectors. 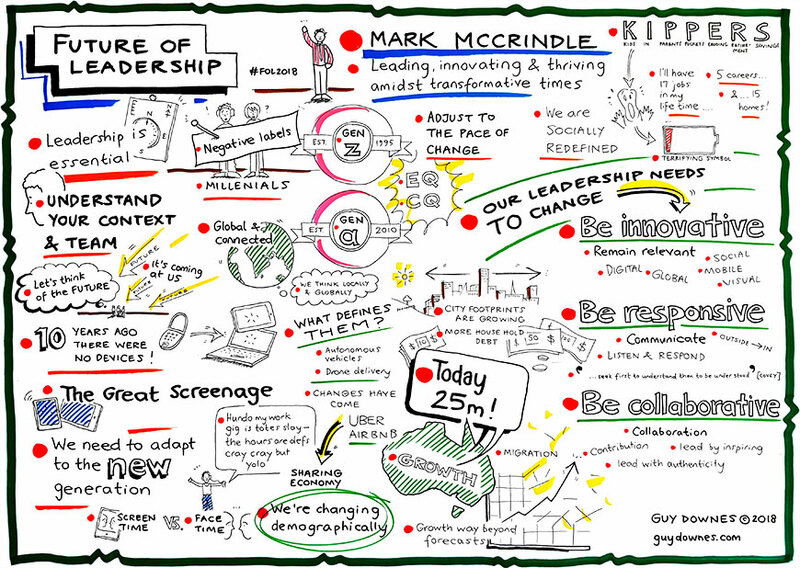 The Future of Leadership series provides excellent opportunities to rub shoulders with the most motivated and influential thought leaders within key industries spanning the Australian and international business community. Each speaker had 25 minutes to share their story, ideas and insights with the audience. 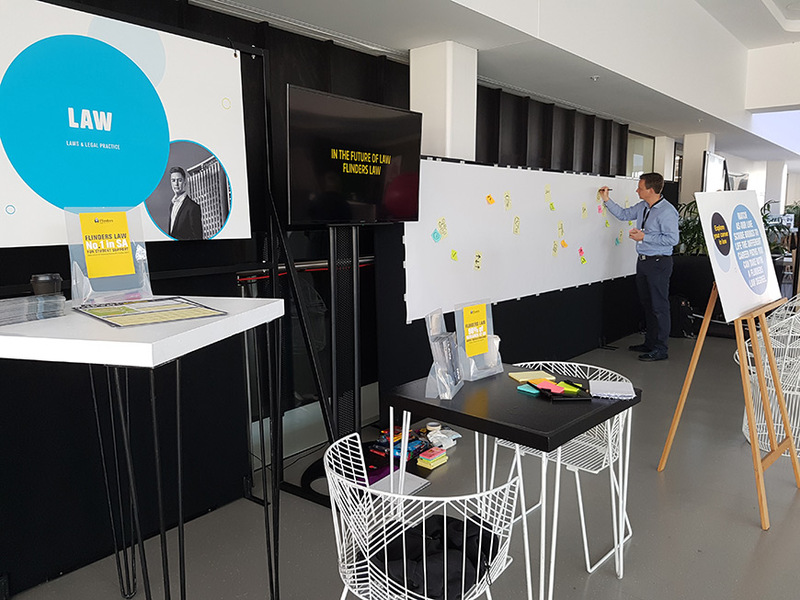 During the full day event, I worked furiously to graphic record straight onto large paper posters attached to a whiteboard. In parallel, I also captured visual notes in a sketch pad to transfer onto the posters when I finalised the posters the next day. Adding the finishing touches poster included building in illustration detail, colour and shading so each graphic recording poster became even more eye-catching. 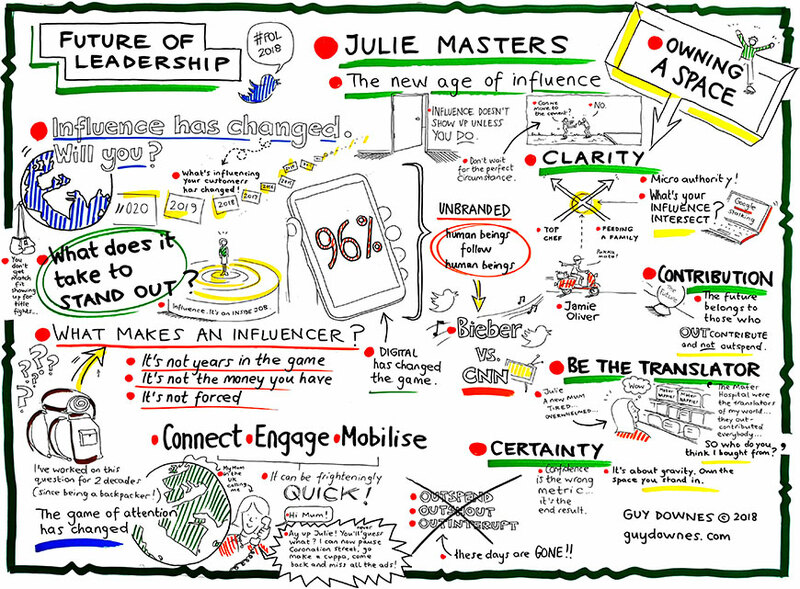 Graphic recording back-to-back speakers at a conference can be intense work as the information comes thick and fast and you need to listen intently. 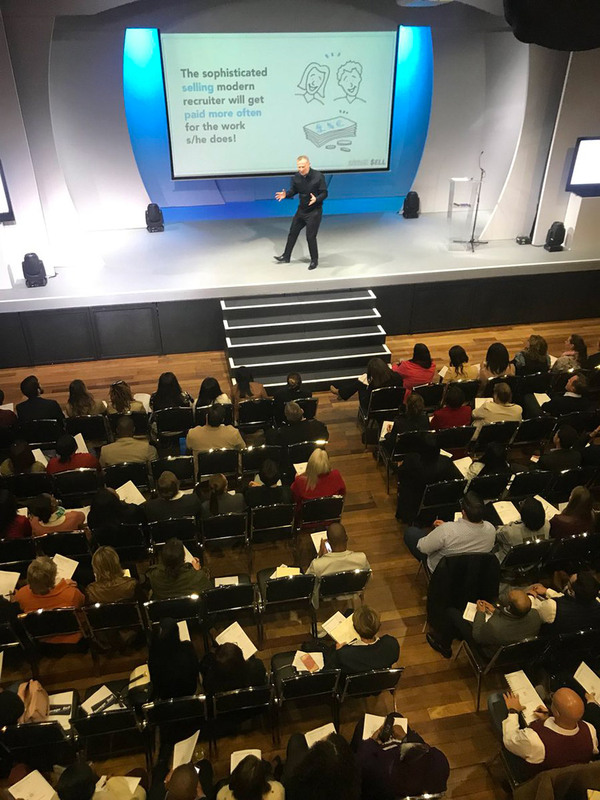 But it is also incredibly rewarding as I help personal, powerful and meaningful stories live on beyond the event as a creative memory tool for delegates. Whatever your work, whatever your position, this one-day conference series equip attendees with tools and insights to make them a better leader both personally and professionally. 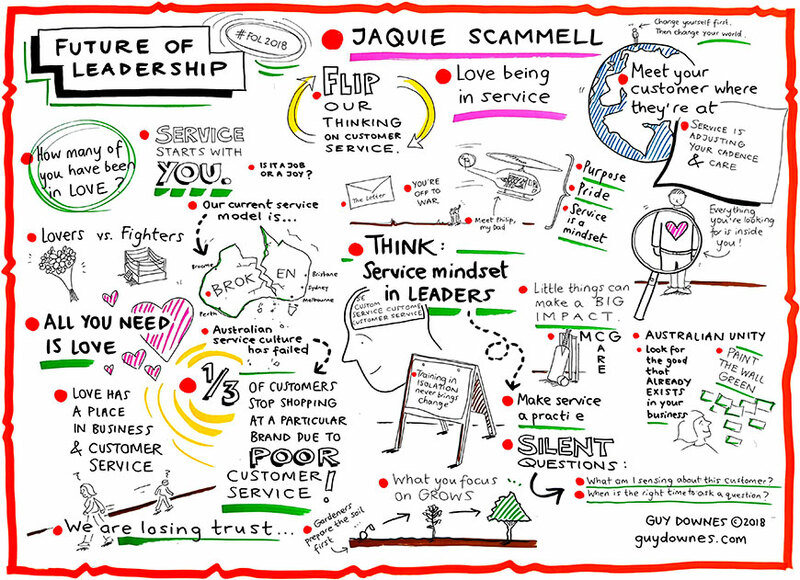 To check out the full line-up of top-notch business and leadership speakers that I graphic recorded, click here: futureofleadership.com.au/speakers And above all, by attending Future of Leadership, delegates were learning but also helping an event that supports at risk Thai children and communities through the charity partner Hands Across The Water. 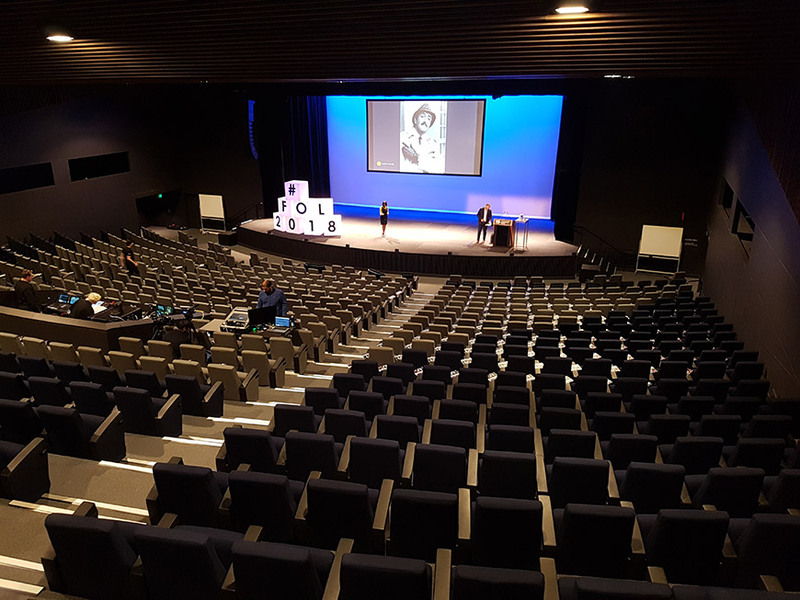 The FOL2018 venue: the amazing ICC Sydney just before doors opened! Today, leaders want to create high-performing teams, cultures, products and services that ripple throughout their business and into the market. But what is required to do this? How should they go about it? Soji Learning & Change work with hundreds of business leaders across Australia every year by delivering unique learning and change programs. A while back they got a brief to help one of their clients refresh a safety learning program for leaders. The brief was to improve workshop engagement and creating a stronger connection to the importance of safety in the organisation. As part of the design they built an innovative exercise that combined visuals and storytelling. The group activity used a eye-catching yet simple illustrated map of a country community typical to where the organisation operates. 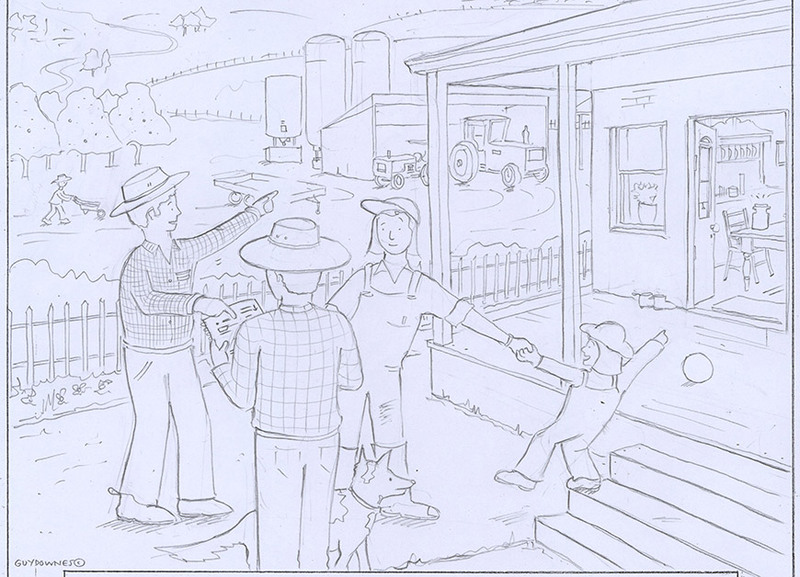 Each group was then asked to use the visual as a prompt for discussion and story sharing. They talked about the system impact of accidents and injuries and the negative effect injuries can have on a community over time. This in turn led the teams to have conversations during the workshop about their work, health & safety responsibilities and the positive actions they could take forward. Adding drawing goodness to Savage Greatness! Since early 2016 I have been incredibly lucky to provide business illustrations to two industry gurus. They are Greg Savage and Chris Savage. 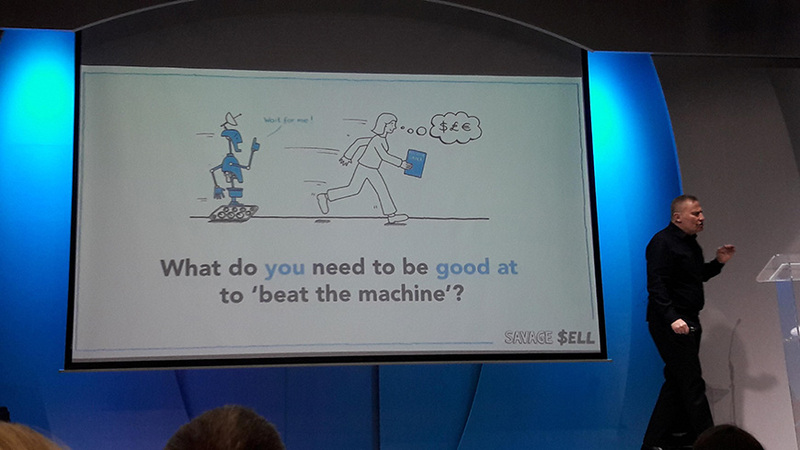 And every year when they hit the road on their ‘Savage Speaker Series’ in the main cities across Australia, New Zealand, UK and South Africa, it’s been my hand drawn illustrations that pop up on their presentation slides. 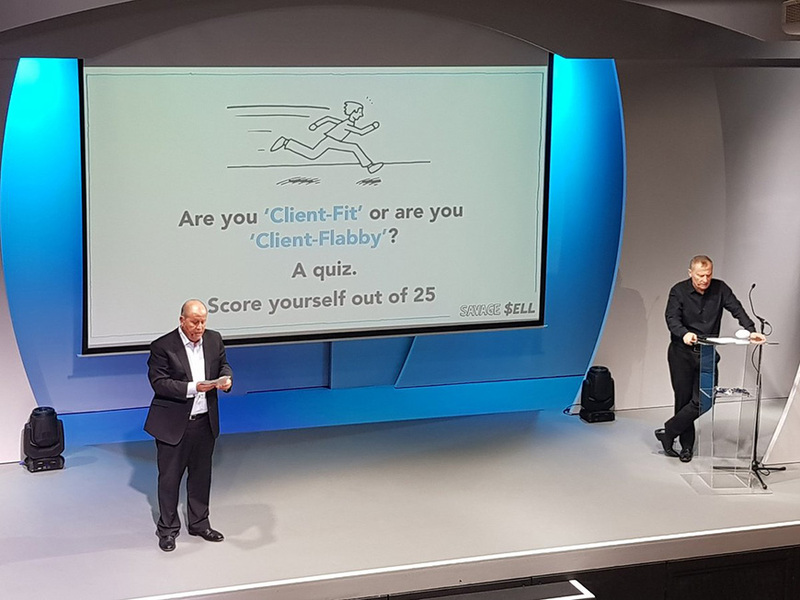 I work hard to provide simple yet eye-catching, relevant and memorable little cartoons to support the blend of recruitment and professional services lessons, learnings and insights they provide on the big screen and from the stage. Savage Growth – Powering Profits in Disrupted Times: ‘New competition, client and candidate expectations, technology, delivery channels, financial models. 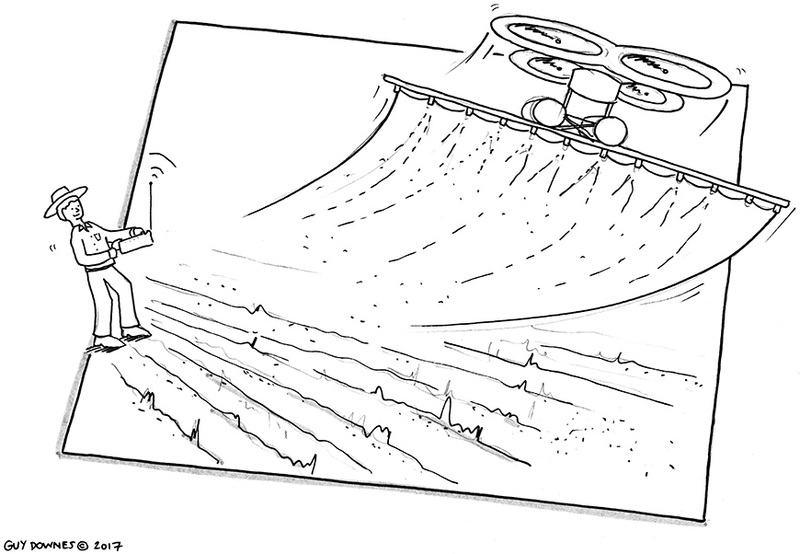 Yet conditions are perfect to differentiate, pull ahead of the market and explode profit growth’. 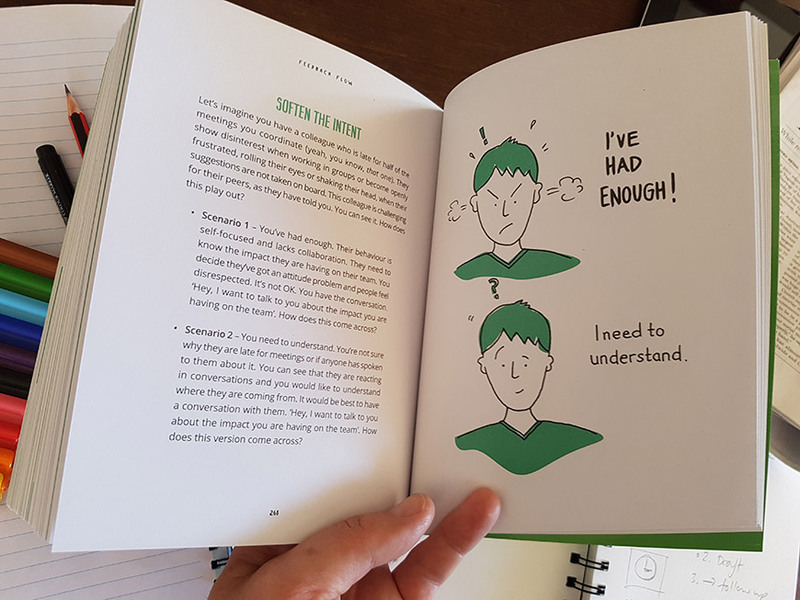 Savage S.P.R.I.N.T – The Six Pillars of the Future Fit Recruiter: ‘100 proven tips, tools and tactics to drive billings’. Each speaker series format is a fast-paced 4-5 hour intensive yet fun workshop. 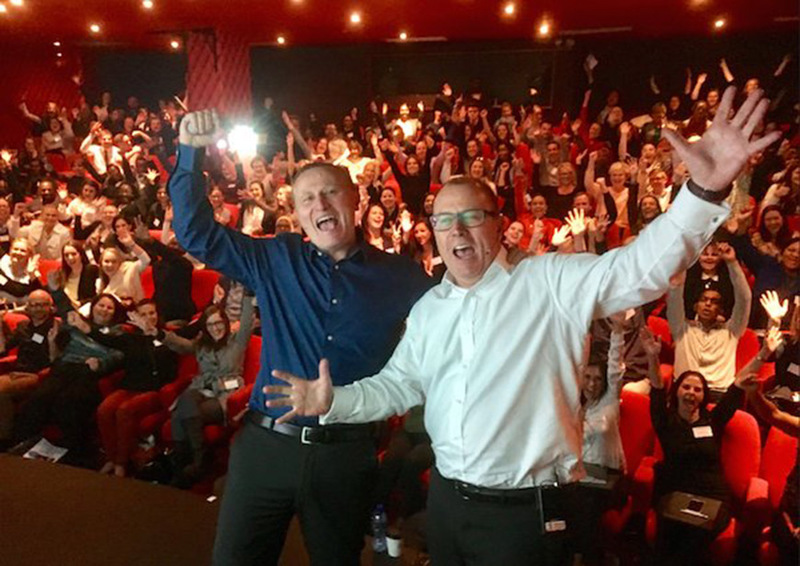 Each workshop is made up of fresh content, providing a proven blueprint on every facet of leading-edge sales and business. If you don’t know about Greg or Chris, start today, right now, this minute. 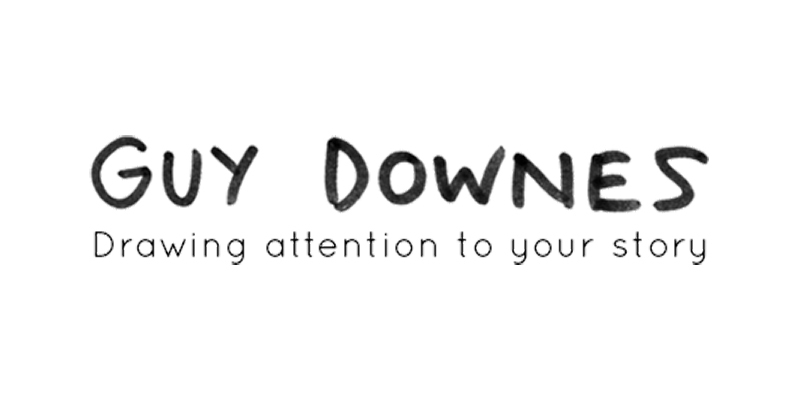 I highly recommend you follow them across their extremely active social media platforms, websites and blogs. Tap into the timeless business craft and learnings that they so regularly, generously and openly share with their community. In the meantime, if you can’t wait and you’re eager to read a bit more, here’s a quick overview with two short biographies. And yes, as you may have guessed already, Greg and Chris are brothers! Not credentials, coasters! 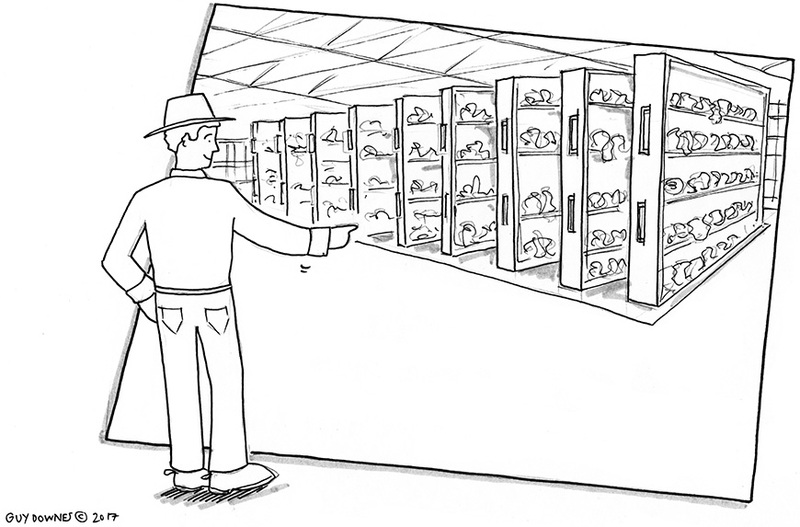 A fresh way to tell a company story. 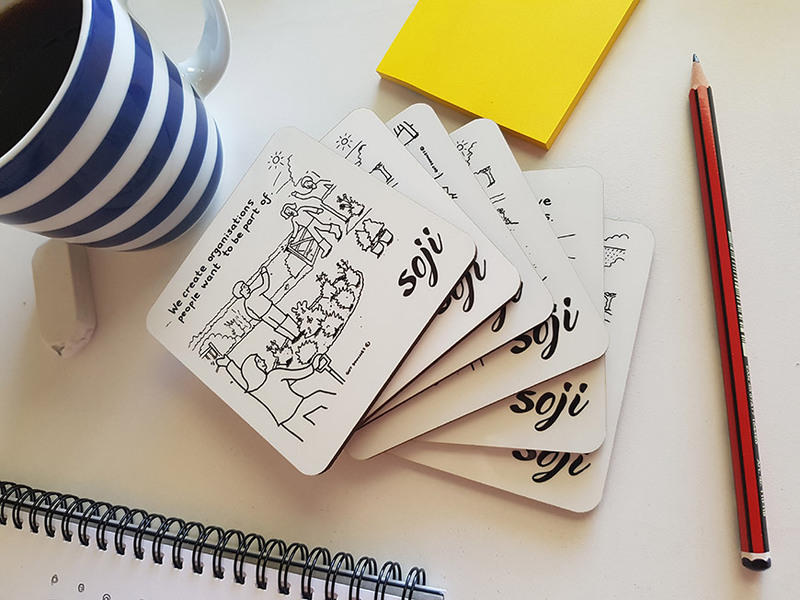 Discovery, curiosity, experimentation and storytelling are core to Soji Learning & Change – a nationwide consultancy based out of Adelaide that develops leaders, aligns strategy and shapes culture. 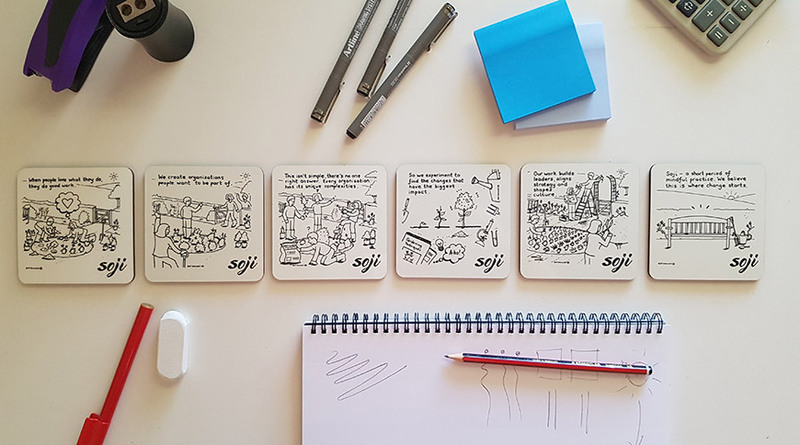 So it was no surprise when they recently approached me with the brilliant idea of developing a set of coasters that tells a micro story as well as their approach to business. 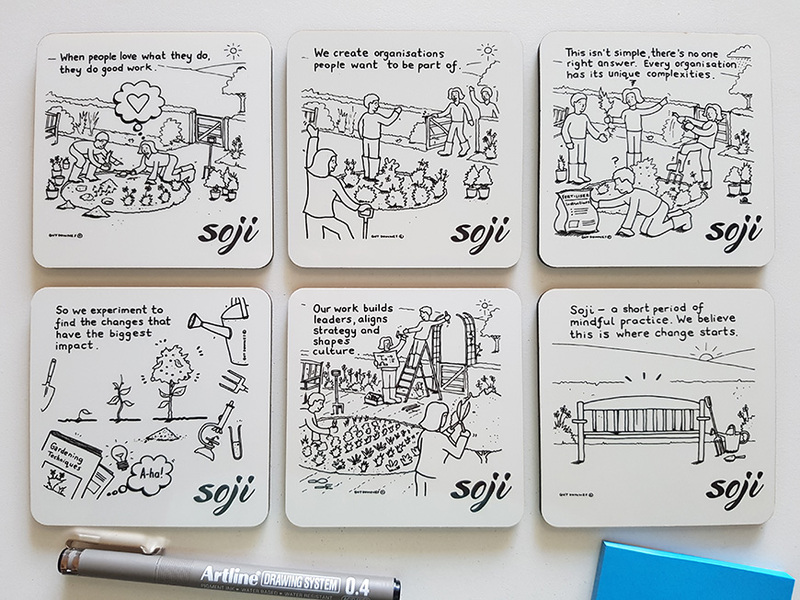 As the illustrator, my role was come up with a simple but rich metaphor that could bring the whole story to life as well as the individual sentence on each coaster. I centred my illustrations on people working to nurture and grow a beautiful garden. 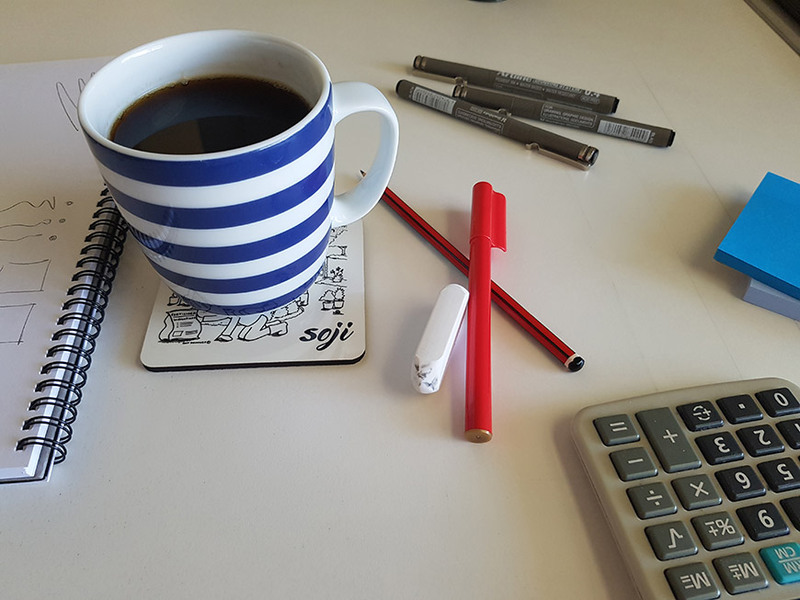 Other than a great spot to park your tea or coffee, the coasters will be used as client gifts and as an alternative to PowerPoint credentials in business development meetings to help spark dialogue and questioning. Imagine ditching the laptop or iPad and simply spreading six coasters on a table alongside the person you are meeting? For me that’s fresh, bold thinking and a great way to share a story and foster a meaningful conversation. 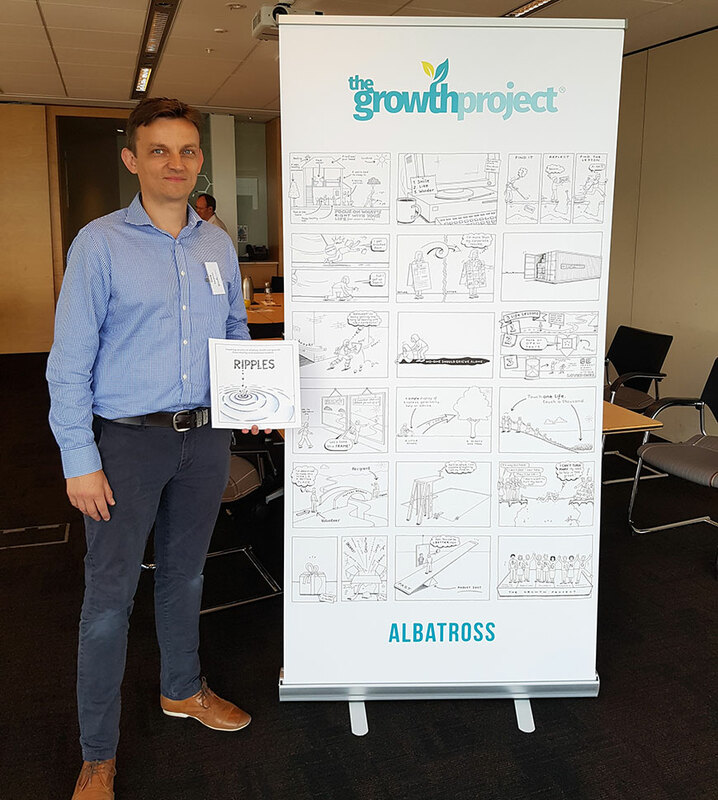 After 12 months of learning and growing as part of The Growth Project, the charity and business leaders involved in the program produced a collection of their thoughts, learnings and advice. These stories were pulled together to create an illustrated book called ‘Ripples’. 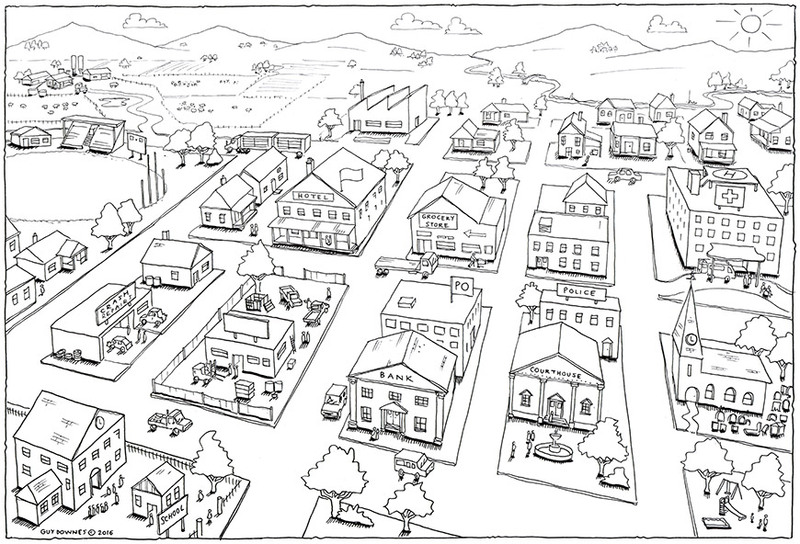 As the book’s illustrator, my role was to bring to life a key message from each story with a simple B&W cartoon. 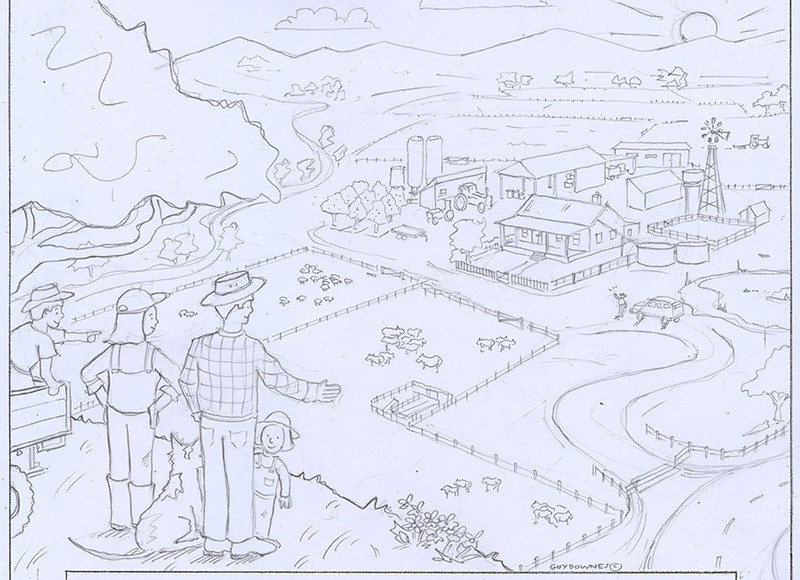 As you can see, each illustration was given a full page, which really let each cartoon have a big impact. The first photo shows me at the book launch next to a banner with all the illustrations. 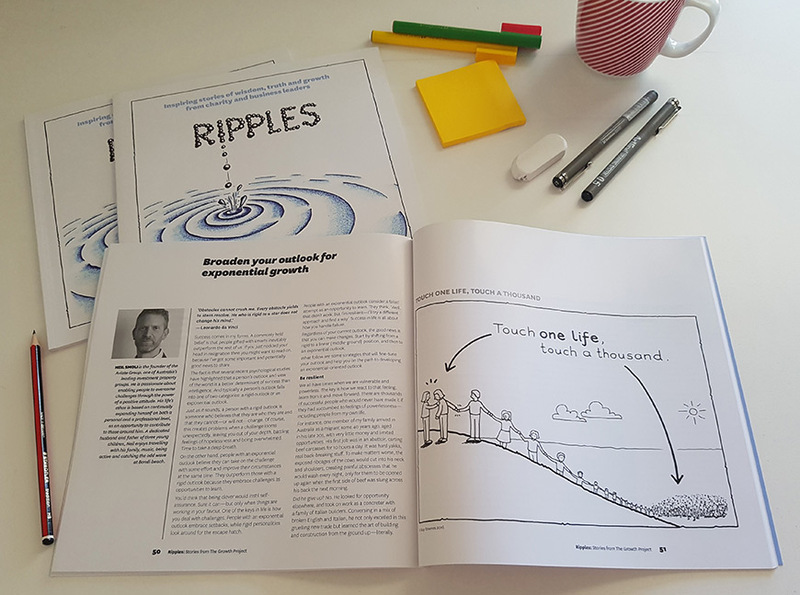 Filled with contributions from charities you might never have heard of and the business leaders who have travelled beside them in the journey, ‘Ripples’ shares great lessons and learnings that will inspire, move or spark you into action. 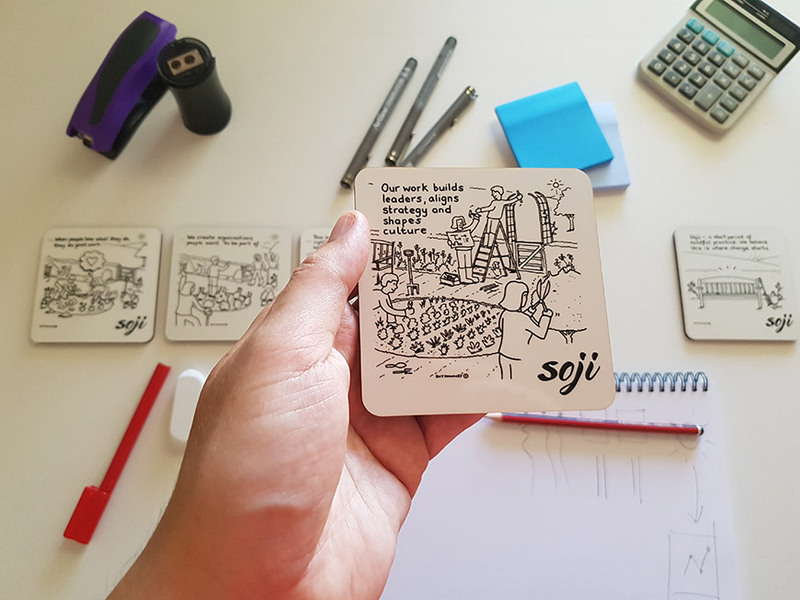 Working closely with Soji Learning & Change, we’ve been exploring a new, micro visual storytelling format, which we’re calling SNAP videos (Short Narrative And Picture). These 30 second bursts of sketched storytelling get to the point, but also have a twist in the tail. This video example for Soji is a prototype. The idea is to create a structure that unfolds in two parts. Initially we hear the voiceover together with my hand sketching out a picture. 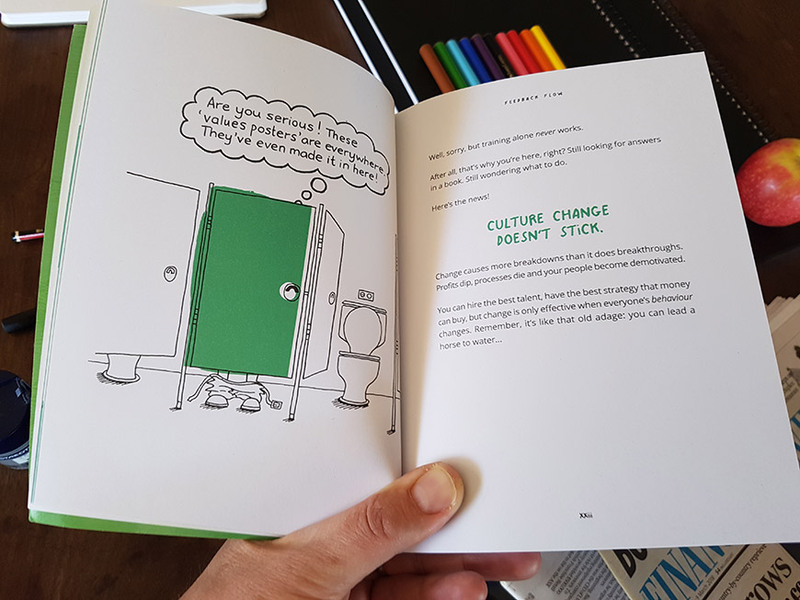 Then the shot zooms out to reveal the key image positioned within a different or unexpected setting that amplifies the message or gives a twist to the story (helping people to get curious and thinking differently). 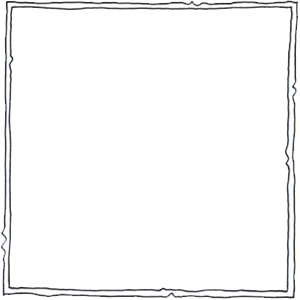 The story and picture is then reinforced with wording, which appears on the screen at the very end. 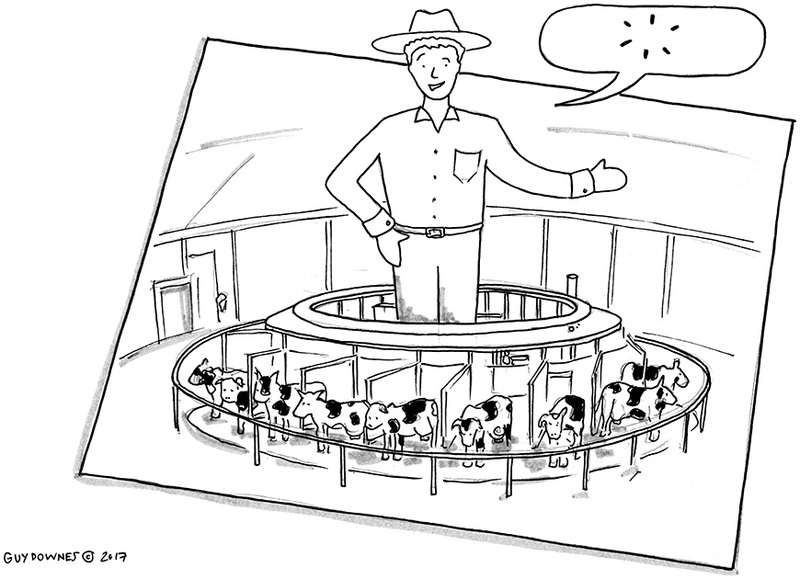 Receive a free cartoon in your inbox every week.